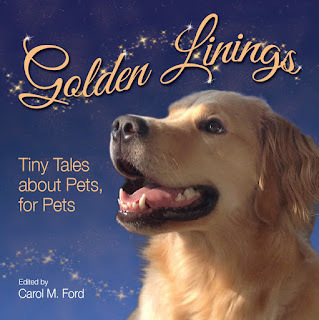 Golden Linings: Tiny Tales about Pets, for Pets is a gift book containing a collection of photographs of pets and short stories about them written by their owners. Contributors are from all around the world. Author proceeds from sales of Golden Linings will be donated to animal rescue organizations and shelters to help animals in need. Golden Linings is published by AM Ink Publishing. Carol M. Ford is the editor and a primary contributor. Golden Linings is available through AM Ink Publishing, Amazon.com, Barnes & Noble, and all major book retailers worldwide. Publication Date: July 15, 2018. 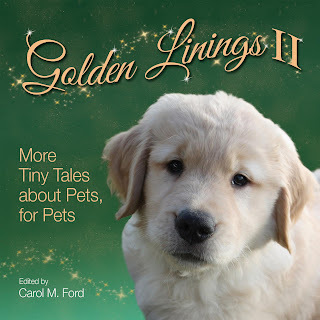 Golden Linings 2: More Tiny Tales about Pets, for Pets is now in production! Anticipated publication date — Summer 2019.